ALPE 50 TELESCOPIC.BRAND NEW STRONG ALUMINUIM TELESCOPIC SYSTEM ,ADJUSTS TO FIT YOUR PREFECT HEIGHT. Top quality "last a lifetime" snow shovels are our speciality, order online for great service, fast delivery and great warranties. 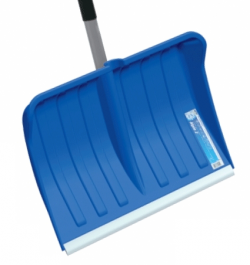 We supply plastic snow shovels, metal, folding, recycled and ergonomic snow shovels. Snow Shovels UK are the UK agents for the products we offer for sale, please complete our form for trade wholesale snow shovel enquiries.